Irvin David Yalom (born 13 June 1931) is an American existential psychiatrist who is emeritus professor of psychiatry at Stanford University, as well as author of both fiction and nonfiction. Yalom was born in Washington, D.C. About fifteen years prior to his birth in the United States, Yalom's Jewish parents immigrated from Russia and eventually opened a Washington DC grocery store on 1st Street and Seaton Place. Yalom spent much of his childhood reading books in the family house above the grocery store and in a local library. After graduating from high school, he attended George Washington University and then Boston University School of Medicine. After graduating with a BA from George Washington University in 1952 and as a Doctor of Medicine from Boston University School of Medicine in 1956 he went on to complete his internship at Mount Sinai Hospital in New York and his residency at the Phipps Clinic of Johns Hopkins Hospital in Baltimore and completed his training in 1960. After two years of Army service at Tripler General Hospital in Honolulu, Yalom began his academic career at Stanford University. He was appointed to the faculty in 1963 and promoted over the following years, being granted tenure in 1968. Soon after this period he made some of his most lasting contributions by teaching about group psychotherapy and developing his model of existential psychotherapy. His writing on existential psychology centers on what he refers to as the four "givens" of the human condition: isolation, meaninglessness, mortality and freedom, and discusses ways in which the human person can respond to these concerns either in a functional or dysfunctional fashion. 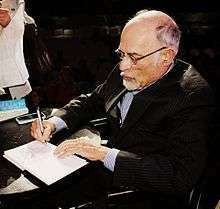 In addition to his scholarly, non-fiction writing, Yalom has produced a number of novels and also experimented with writing techniques. In Every Day Gets a Little Closer Yalom invited a patient to co-write about the experience of therapy. The book has two distinct voices which are looking at the same experience in alternating sections. Yalom's works have been used as collegiate textbooks and standard reading for psychology students. His new and unique view of the patient/client relationship has been added to curriculum in psychology programs at such schools as John Jay College of Criminal Justice in New York City. Yalom has continued to maintain a part-time private practice and has authored a number of video documentaries on therapeutic techniques. Yalom is also featured in the 2003 documentary Flight from Death, a film that investigates the relationship of human violence to fear of death, as related to subconscious influences. The Irvin D. Yalom Institute of Psychotherapy, which he co-directs with Professor Ruthellen Josselson, works to advance Yalom's approach to psychotherapy. This unique combination of integrating more philosophy into the psychotherapy can be considered as psychosophy. He is married to author and historian Marilyn Yalom.